When I was first introduced to mountaineering as a sport, I knew I had to experience it for myself. 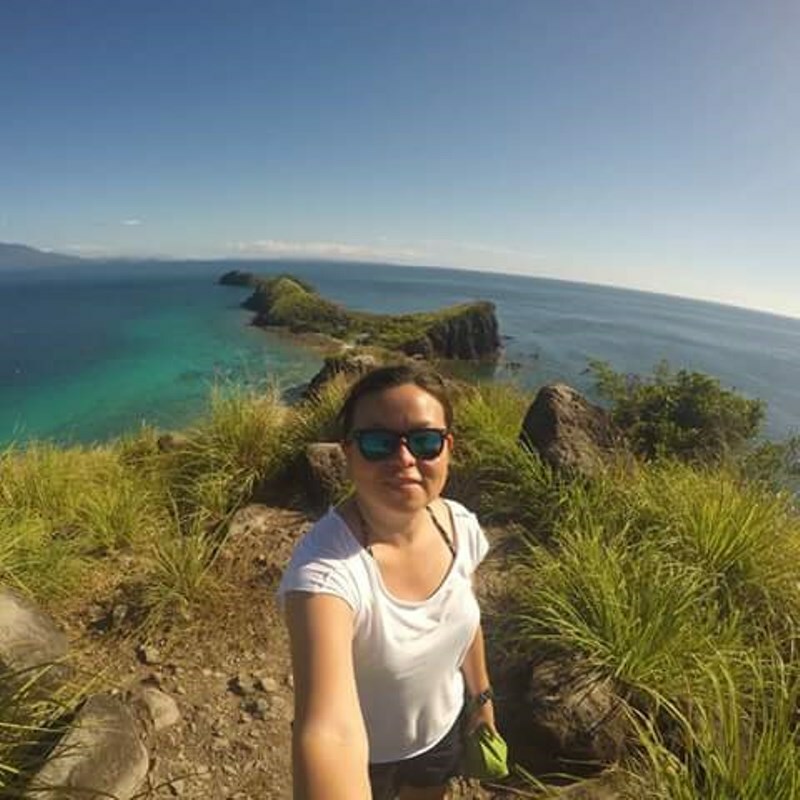 Since then, years ago, trekking has become a hobby and a passion. It wasn’t until recently though, that with the help of friends this hobby was elevated to a new level – through it my friends and I have embarked on an important mission. Our ascents to the summits helped us to see and feel the difficulties and realities of life among mountain dwellers. Inspired by our treks and visits to mountain communities, in 2007 we formed a group based on a shared common love for nature and compassion for the kids living in these mountains. We decided to hike on a new trail, and called our group TREK, or Trails to Empower Kids. Our first outreach program was held in the mountainous province of Benguet, in the municipality of Itogon, Philippines. Here we visited a primary school, where a group of 30 young students shared a common classroom and teacher. Before our trip, with the help of friends we were able to gather donations of school supplies, backpacks, raincoats and toys to share with these students. We also invited our other friends to join us in the turnover ceremonies. This experience was an eye-opener for our group. We met kids who don’t know of chocolate or spaghetti, who have never heard of music besides country beats, and who have never attended a children's party. We felt tremendous joy in providing supplies to this community, and were immediately motivated to do more. We began to spread the word through social networking sites, where we advocated what we were doing, and invited people to help us with future projects. From an initial group of seven who planned the first outreach project, our family began to grow, and the magnitude of the tasks and challenges that we took on increased. During one trek, we encountered a large community nestled in beautiful rice terraces. We noticed that the community had less than ten “comfort rooms”. We couldn't imagine the local youth, students in their puberty stage who would be leaving home in just a few years to enter college, not having access to adequate comfort rooms. Thus, we partnered with a local mountaineering club who helped us to coordinate the construction of the necessary facilities with assistance from the parents of these students. On another trip, we met young Agtas, a nomadic people. Here we met a teacher who wanted her students to better understand other cultures; our group followed up with this, with the help of various media agencies, by collecting donations of audio-visual material containing videos of different tribes. We distributed these videos to the teacher so that she could share them with her students. On another occasion, the truck we rented was damaged, leaving our group with no choice but to walk an extra eight hours on a very muddy road. In spite of the many challenges that we encounter though, we are always reminded that the rewards of our efforts are well worth it. There are simply no words strong enough to describe the joy we receive when we see kids faces lighting up, mothers expressing their gratitude, and teachers affirming the goodness that we’ve done. It also comes as a great bonus to our group that all the places we’ve visited so far have been truly awesome. In Pudtol, Apayao, we cruised along the historic and scenic Apayao River on bancas (local boats). In Aurora, we frolicked on white sand beaches and took a dip in pools that had been naturally created by reef formations. In Itogon, Benguet, we crossed three hanging bridges, which afforded magnificent views of the Agno River. Some of our trails may be difficult, but they are all guaranteed to be uplifting. 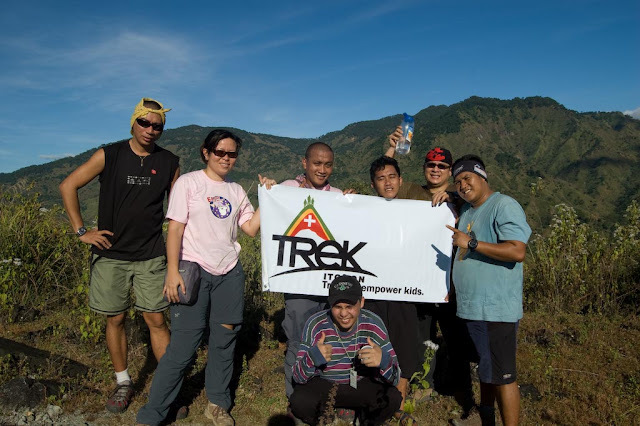 The TREK team now has our eyes are set on our next mission, which will be held this July in Nueva Vizcaya. Preparations for the trip are underway, and we are once again inviting everyone to donate supplies and to join us on our treks. Working into such a foundation like this is really a great work. You don't only give stuff to them you also make them happy and learn about life that you need to give and give for those who are in need.